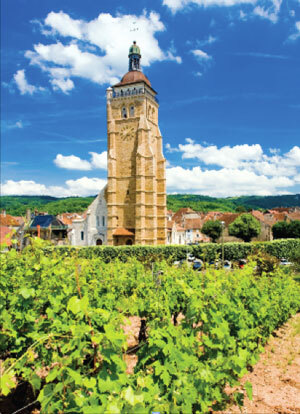 France’s smallest wine region with its most complicated range of wine styles is on a roll as far as exports are concerned with year-on-year increases bringing the proportion to 7% of total volume last year. After Jura tried to crack the UK market with its first trade tasting earlier this year, it’s worth looking at what’s behind its biggest success story, wooing the fashionable wine drinkers of New York City, writes Wink Lorch. US wine importer Neil Rosenthal should probably be credited with being the first to get Jura wines known in the US when he imported wines from the highly respected Jacques Puffeney in AOC Arbois in 1997; a year later wines from another Arbois producer Frédéric Lornet appeared through Wine Symphony. In 2000 the late Louis Dressner, a champion of non-interventionist wine producers, imported the sulphur-free wines from Domaine Pierre Overnoy and from then on Jura became linked with the popular artisanal movement too. Very soon the Overnoy wines were on allocation, a situation that continues today. By 2008 around a dozen Jura producers had wines being imported into the US, some of them with sufficient volumes, such as Stéphane Tissot of Domaine André et Mireille Tissot, to become more widely distributed across the country. The appeal of Jura wines to American wine drinkers appears to be a combination of their value for money relative to Burgundy with which they can be most closely associated in style, their very obscurity or exoticness providing novelty value, and a real drinking appeal especially of the sparkling wines, the light reds as well as the more classic whites. Unlike in most of Europe, Americans do not immediately associate Jura wines with oxidative styles or compare the wines with Sherry. Indeed there is very little Vin Jaune, Jura’s most famous wine, available because US rules do not allow the 62cl clavelin bottle to be imported.